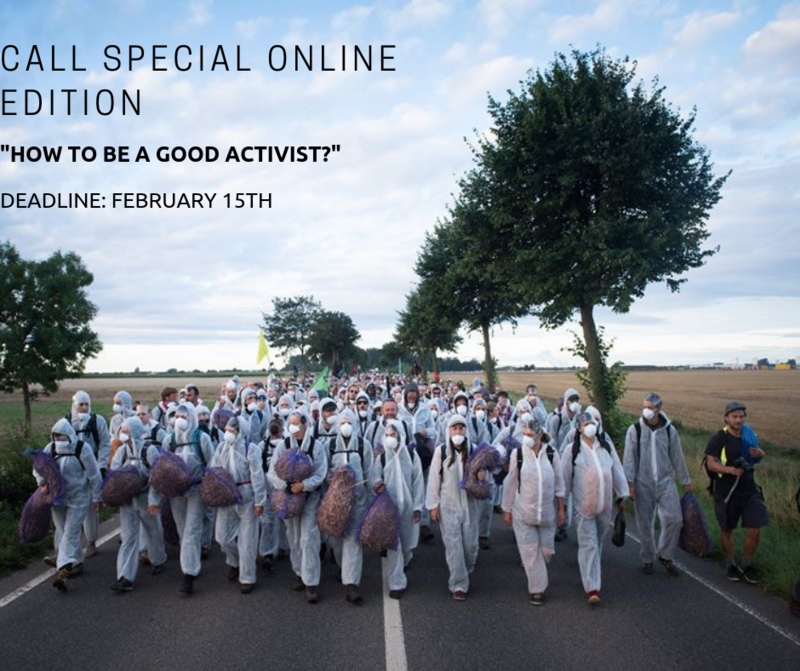 Ecosprinter | Call for a special online edition: How to be a good activist? During the year, the (young) greens all across Europe organized successful actions. As the European elections are coming soon, and we are all excited about it and doing our best to support the candidates, EEB wanted to hear your story, your story of activism. How did you decide to become an activist, what does activism mean to you, is someone close to you involved in activism, in what kind of activism are you involved in and many similar topic. For exemple, you can write about original ideas to fight the rise of right-wing populism. If you have a particular idea of action, a success story to tell, or something else related to the topic you want to write about, then the Ecosprinter is looking for you! The aim of this special edition is to brainstorm about what we think it is to be an activist. The Ecosprinter Editorial Board would like to invite you to send your article ideas for a special online edition on green activism before February 15th at ecosprinter@fyeg.org. For any question or remark, please feel free to write to us at the indicated address! Don’t hesitate to send us any idea! Please specify what length of an article would you be able to write and what type of article would you like to create: a column, a short story or something else. A typical article for us would be around 700 to 1000 words! Tagged activism, Call, call for articles, Green activism, special edition. Bookmark the permalink.